According to the Environmental Protection Agency, the air we breathe inside our homes and offices can be five times more polluted than the air outside, and this may be affecting your health and the health of your family members. “Indoor air quality can be worse than outdoor air quality in almost every case,” according to William J. Calhoun, MD, professor of medicine and vice chair of the department of medicine at the University of Texas Medical Branch in Galveston. That’s because enclosed spaces like homes and offices allow pollutants to accumulate and concentrate in the very places where we spend almost 90% of our time. I believe the health of the human species directly correlates to the health of our environment. 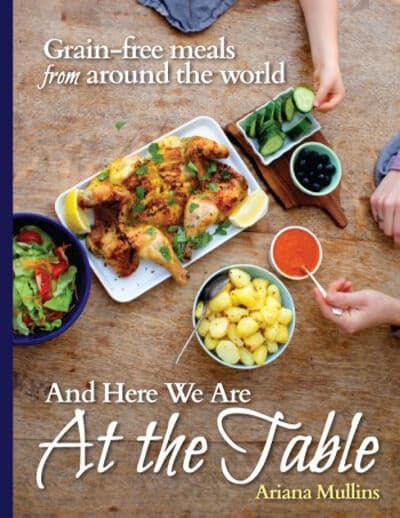 It’s not an accident so many of us are facing chronic illness, autoimmune disease and cancer at the same time that the planet has become so polluted. We are inherently interdependent with all things. To heal one, we must also heal the other. Because children, elders and people with illnesses are particularly sensitive to pollution, getting the toxins out of your air at home is just as important as getting them out of your food and water. It makes sense to improve your indoor air quality as part of any holistic plan to protect your family, manage illness or improve your health. If you have cancer, autoimmune disease or any other chronic illness, indoor air pollution can be one more thing you just don’t want taxing your immune system. And if you have serious air pollutants, like mold, they could in fact be a significant contributor to your illness. No matter where you live, there are potential sources of air pollution in just about every room of your house, but don’t despair. You can actually remove up to 40% of your pollution using what you already have in your home! Here are sixteen ways to improve the air quality in your home (or office). It’s hard to know how best to clean the air in your home if you don’t know what exactly is polluting it! For example, you would approach eliminating mold or dust mites completely differently than you would approach eliminating pollutants from cleaning products or gas-fired appliances. Your home is also unique. From the layout to structure to appliances, air moves differently in your home than it does in your neighbor’s. 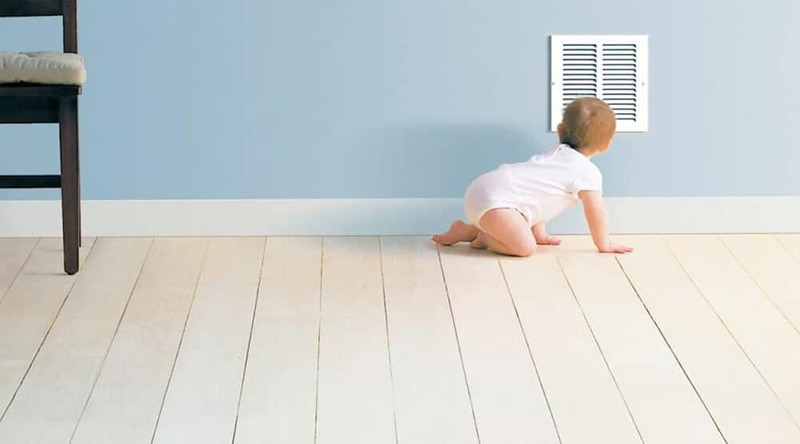 Learning the basics of how air moves in your home is also important before figuring out how best to remove pollutants. Fortunately, I’ve found an extremely easy and affordable way to identify indoor pollutants and the right solutions to getting rid of them. HomeLab’s Healthy Home Program combines an air monitor, a smart app, and expert support to help you clean your air. Here’s how it works: The air monitor device provided by HomeLab can be moved from room to room in your home or office to determine exactly what type of pollutants can be found there. The smart app that goes with the monitor tells you what types of air pollution you’re dealing with in each area, and collects information on your home to make pertinent recommendations. These recommendations are prioritized and bundled together into a comprehensive air quality plan. Then, (my favorite part) the professional building scientists at HomeLab will give you a personal consultation to answer your questions, guide you through each recommendation and provide additional help, including connecting you with air purifying products or local contractors, if needed. The HomeLab Healthy Home basic program starts at only $9.99 a month—which is waaaaay cheaper than buying multiple expensive testing kits or hiring a professional contractor to come in and assess your home. In other words, given how polluted the air is in most homes, for less than the cost of two lattés at the local coffee shop, you can have peace of mind knowing the air in your home is as clean as possible. I particularly love the HomeLab service because it was founded by the husband of a cancer survivor specifically to help people get the airborne toxins out of their homes before they face a similar debilitating illness. HomeLab Healthy Home Program air monitoring was made specifically to help you and me do just that. These two extremely dangerous indoor pollutants are easy and affordable to test for with home detection monitors you can pick up at any hardware store. Radon is an odorless, invisible gas that occurs naturally in soil and rock. It can be found in 1 out of every 15 homes, and is the leading cause of lung cancer in non-smokers. Testing for radon can only be done with a specialized radon testing kit available at hardware stores everywhere, and just may save your life. Carbon monoxide is also odorless and invisible, but it usually comes from a car left idling in the garage, or a faulty gas-powered stove or heater. It can only be detected with a special carbon monoxide detector. If you have a gas or propane stove, or a home heated with gas or oil, a carbon monoxide detector is as important to your home safety as a smoke detector (and costs about the same). Bringing in cleaner outdoor air by opening up windows is the easiest way to dilute the contaminated air in your home. However, you’ll want to keep the windows closed on high-pollen-count days or when it’s very humid outside, which can raise the risk of mold. When cooking and bathing, make sure to use exhaust fans. According to Nate Bellino at HomeLab, you’ll want to ventilate the kitchen with a fan or nearby open window during cooking, and for at least 15 minutes after you are done preparing the meal. Dust is a leading source of air pollution because it absorbs toxic gases, including volatile organic compounds (VOCs) and radon. It can also contain pollen, animal dander, mold spores and dust mites, which are known allergens. Vacuuming slowly and methodically captures the most dust, whereas vacuuming quickly just raises the dust, which defeats the purpose. Vacuum slowly at least twice a week, and step outside to empty the vacuum cleaner bag or canister, and avoid inhaling any dust as you do so. That’s because bacteria can multiply 100-fold inside a vacuum, according to Charles Gerba, PhD, a professor of environmental microbiology at the University of Arizona. If you can afford a vacuum with a HEPA filter, this would be a really smart investment. HEPA filter vacuums catch virtually all particles that are 0.3 micrometers in size. With a regular vacuum, those tiny pollution particles just float right back into your living room. While there are some expensive fancy HEPA vacuums, Bissell and Eureka sell good ones for $200 or less. If the filters on your furnace, air conditioner or ductwork are dirty or damaged, they won’t work. Always follow the recommended replacement schedule for your heating and air-conditioning systems. According to the American Lung Association, generally, filters should be checked about 4 times a year; more often during the winter or if your system is older. Fireplaces and wood or gas stoves can emit carbon monoxide, nitrogen dioxide and fine soot particulates into the air, both inside and outside your home. Although they aren’t used frequently, fireplaces are extremely polluting when they are used. In San Francisco between November and February, wood burning contributes a whopping 33% of fine-particle air pollution on cold days. In New England, wood smoke is also a significant cause of air pollution—even worse than exhaust from car engines. And in Fort Collins, CO, the wood smoke contributes to smog so severe it obscures visibility 1 out of 4 days. It’s best to not use a fireplace indoors at all, but if you must burn wood for heat, make sure you do so in a stove that meets EPA standards. And if you use a gas fireplace, make sure it is fully vented to the outdoors. Fix any roof, foundation, basement or plumbing leaks that might add to the moisture indoors. Use an air conditioner or dehumidifier, as needed, to reduce indoor moisture. Make sure to keep them clean and frequently change any filters. Joint research from the Environmental Working Group and the University of Washington found that all top-selling laundry products emit at least one substance regulated as toxic or hazardous. Fabric softeners and dryer sheets are the worst offenders. And most air fresheners, cleaning products, scented candles, hair products, nail polishes, and perfumes also contain VOCs and phthalates, hormone-disrupting chemicals that may affect reproductive development. If you must use some sort of fragrance in your home, boil citrus peels or herbs like cinnamon, sage, rosemary, or mint, or diffuse pure, plant-based essential oils into the air. Most off the shelf cleaning products contain fragrances and other volatile organic compounds (VOCs) that are toxic to breathe or get on your skin. Look for “green” cleaning products, which are safer and less toxic, and now widely available in supermarkets and health food stores. Or, to save the most money, you can easily use vinegar, borax, baking soda, citric acid, and other natural solutions to wash dishes, do laundry and clean your home without any toxic chemicals or VOCs at all. There are many recipes for DIY non-toxic cleaners online, but not all of them are effective. My most favorite recipe book for highly effective, non-toxic cleaning products is here. Most people allergic to dust are actually allergic to the microscopic dust mites living in the dust. Dust mites feed on human skin and live in pillows, bedding, mattresses, stuffed toys, carpets and upholstery. Use a dehumidifier to keep humidity levels below 50% in your home. Vacuum and steam clean upholstered furniture. Wash bedding in very hot water and use dust mite covers on your mattress and pillows. Paints release trace amounts of toxic gases for up to a year after they have dried. These gases include such VOCs as formaldehyde, toluene and acetaldehyde. If your home has been recently painted, this might be an issue for you, and can be detected with an air monitor. When painting, be sure to use no-VOC paints, varnishes, waxes and other finishes, and open windows and use exhaust fans while you paint. You can find good brands of no-VOC paint at better hardware stores; look for the words “No VOC” on the label. It costs a little more, but paint can be toxic for so long, it’s worth the extra expense. Be sure to store all paint outside of your home. Even when they’re resealed, paint cans release significant levels of harmful VOCs. Unopened cans are more airtight but still emit fumes, so store them in a well-ventilated area, such as outdoors in a shed, until ready to use. Dry cleaning solvents can be toxic to breathe. To prevent these toxic chemicals from coming into your home, either find a “green” dry cleaning service, or let dry-cleaned items air outdoors for at least 2 hours before bringing them inside. Formaldehyde is a gas found in many home products, including adhesives, disinfectants, insecticides and particle board. It is a carcinogen and can cause severe respiratory problems and skin irritation. People with asthma may be more sensitive to formaldehyde. Keep it out of your home by choosing flooring and furniture that are not made with particle board, lumber, adhesives or finishes that contain formaldehyde. Plants work as natural air purifiers by drawing in airborne chemicals and other harmful compounds through their leaves and depositing them in the soil where they are broken down by micro-organisms. This process effectively removes VOC toxins such as nitrogen dioxide, formaldehyde, and benzene, to name a few. To improve indoor air quality, experts recommend using one to three houseplants for every 100 square feet of living space, though your results will vary greatly depending on the types of plants you are growing, their size and their health. If your air monitoring indicates you have a serious air quality issue, you will also need to take other measures. Pesticides are toxic chemicals that can not only pollute your indoor air, but they can also cause additional health risk for children and pets who come into skin contact with them. Block holes and keep food in tightly sealed containers. Cover your trash cans, and clean up crumbs on counters and floors. Use bait traps to catch pests, or use natural, less-toxic pesticides like citrus oil or boric acid. Only use chemicals as a last resort and get professional help to minimize their usage and risk. 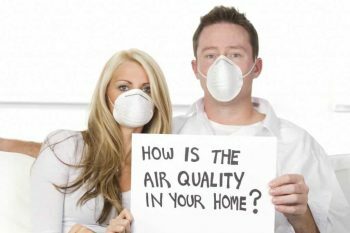 Once you know what types of air pollutants are in your home or office, there are many ways to reduce or eliminate air pollutants in your home that are free or cost very little, and they should be your first line of attack. A high quality air filter is pricey, and therefore should be the last resort—but it can be very helpful when you know you need some extra help. However, not all air filters and purifiers are created equal, and you definitely get what you pay for. Even the most expensive air filters and purifiers don’t remove all pollutants, and some brands are better at removing one particular type of air pollution more than another. 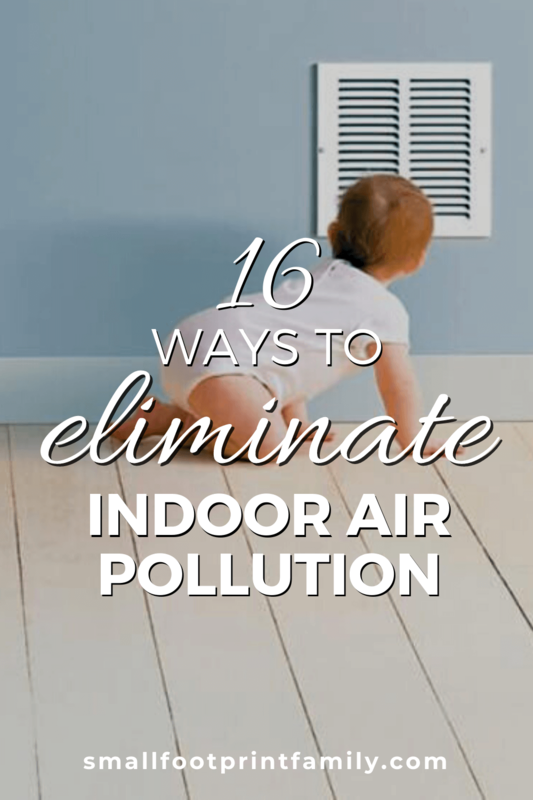 For example, HEPA filters are excellent at removing particulates like dust and soot, but can’t remove gases like formaldehyde or nitrogen dioxide. If you’re going to spend hundreds of dollars (or more!) on a good air purifier, you should make sure it will actually help you eliminate the specific pollutants affecting your home. This is why it is so important to know what pollutants are actually in your home, so you can choose the right strategies—and even the right type of air filter—to solve the problem you have. HomeLab Healthy Home programs can help you determine what toxins are in the air in your home or office, and their consulting scientists will specifically recommend which strategies will work best for you—right down to recommending the brands of air filters and purifiers that are guaranteed to remove or reduce the pollutants you are facing. Your home should be a haven, a safe place to be. Which is why it is so important to make sure the very air you breathe while in your home is sustaining you in health, not harming you. Taking these easy steps will help you make sure you can breathe easy. An impeccable blog on keeping pollutants at bay. Most people fail to imagine there are so many ways a home can get polluted even in the midst of routine living. Thanks for sharing this blog and enlightening the readers regarding causes of air pollution at home. Great share! Transform your walls into a permeant air purification system, by mixing the ionic paint additive by Air-ReNu with paint and applying the blended mixture to the walls of your home or office. One application eliminates offensive odors such as cat urine, smoking odors, pet dander, toxins, and will continue to remain effective for 8 to 12 years.